We possess the requisite experience and knowledge to defend any type of motor vehicle accident claim. Brinker & Doyen, L.L.P., has defended thousands of motor vehicle accident lawsuits over the years through both personal and commercial liability policies. 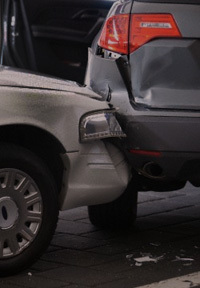 While we have handled many fender-bender/soft-tissue injury claims, we have also defended many complicated, high-damage claims that involve catastrophic injuries and death. Additionally, we have represented motor transport companies and have actively participated in accident investigations/reconstruction and defended lawsuits against common carriers. While many auto accident cases may involve similar facts (such as rear-end motor vehicle accidents), we do not subscribe to the “cookie-cutter defense” of these types of claims. Every case possesses a different set of facts and we immediately identify the significant factors that will assist us in evaluating and defending each claim. We provide extensive investigative tools to ascertain details of the incident and resulting actions, including review of personal mobile devices. If a punitive damage claim is premised on an allegation of alcohol consumption and/or intoxication, we immediately collect all information and documentation to refute or confirm the allegation. We will secure data from a data recorder (“black box”) when necessary on a significant accident and claim. Our attorneys have seen virtually every type of accident and claim and are well-prepared to serve our client on every imaginable auto liability claim.